Our holiday workshops take place in selected beautiful seminar houses and are lovingly and very thoughtfully organised. In the sensitive atmosphere of the workshops, you connect with your innermost life energy. 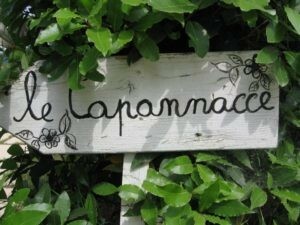 Le Capannacce with friendly rooms and beautiful views of garden and the surrounding countryside. Surrounded by green olive groves, vineyards and forests in Tuscany, the Podere le Capannacce is idyllically situated on a hill in a secluded location surrounded by green nature. The picturesque country house from 1771 has been completely renovated and converted into a seminar house with Italian flair. The bright, friendly rooms offer beautiful views of the colorful garden and the surrounding countryside. In the spacious garden you will find the right ambience to enjoy the silence of nature. There is a large swimming pool for sunbathing and swimming and in the evening we can end the day by a wood-fire. On sunny days we can enjoy our meals together in the garden. Tasty vegetarian Italian food is provided three times a day. Once a week, pizza baked outdoors in the traditional wood-burning oven is a very special culinary delight. If we want, we can have a barbecue in the evening. 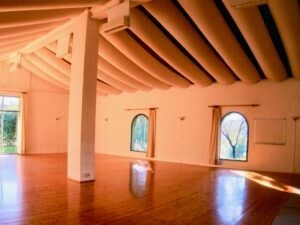 Tantraworkshop Passion and Devotion in Capannacce, surrounded by olive groves, vineyards and forests in Tuscany. There is a large, very bright seminar room with wood floor available, which will ideally support our workshop. The windows let in the natural light in and we have a bright view over the Tuscan hills. The house is run by a fantastic team; just the friendly nature of these people, who do everything to make everyone feel comfortable, makes the stay here a real experience. The nearby town of Palaia, between Pisa and Florence, is a medieval, non-touristic place with typical Tuscan charm. Florence Airport is 40 km and Pisa Airport 35 km away. The airport of Pisa is cheaper than the one of Florence, because it is closer and there is the possibility to board the train directly at the airport. The nearest train station, San Romano-Montopoli-Santa Croce, is 10 km away, but there are many more trains to Pontedera. Guests can be picked up from the train station or take a taxi from the train station to the seminar house. Loving touch and conscious breathing will support you to get in touch with deeper layers in yourself. You learn to become aware about the flow of your sensual life energy. In an atmosphere of acceptance, free of judgments, expectations and pressure, you can explore the sensibility of your body and open yourself to the world of sensuality.